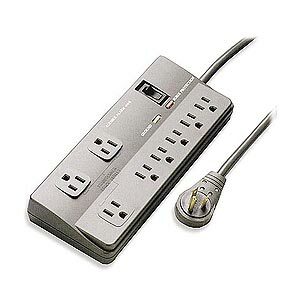 Easily plug all of your equipment into one power strip/surge protector! The patented low-profile 360 degree rotating power plug end is perfect for those hard to reach outlets. With the built-in audible alarm, you'll instantly know when voltage levels become dangerously high.